Singing Letters | Before Gospel Singer Songwriter Paulette got saved at the age of 15, she showed signs of a manic depressant. Her parents sent her to a psychiatrist because she was always thinking of ways to end her life. She attempted suicide on a couple of occasions without success. Since she was not saved, it allowed the enemy to come in her life and do as he pleased whenever he pleased. Looking back, Paulette now knows that her parents prayed for her healing. Paulette lived with a chain around her neck and needed to be set free. Sadly, Paulette couldn’t see the purpose why God put her on earth. She could not see good in anything until she got saved. And when she did get saved, it was like the difference between day and night. Paulette was anointed to play the organ along the side of her mother. It made her feel free to fellowship with Christ and with her mother. “I don’t want to be a sinner” is a song by Paulette that reflects those experiences Paulette dealt with. She is reminded that she hated feeling the heaviness, isolation, and inability to understand that God loves her. 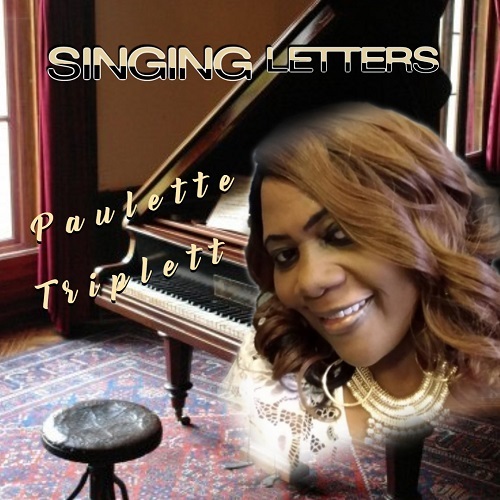 In 2002, Gospel Singer Songwriter Paulette began a heartbreaking journey of dealing with the grief of her baby sister and her mother who passed away. They were her life and passed away within months of one another. Needless to say, this took a toll on Paulette and she needed emotional and spiritual intervention. Following the death of her loved ones, she spent years praising and worshiping God to sustain her through the pain. She also got to know God on a deeper level and personally. Eventually, Paulette began to tap into God’s power almost daily. Through praise and fellowship, it helped her survived in more than one way. Spending so much time in God’s presence, Paulette ears and eyes were open on another spiritual level. She heard God speak messages for the creation of songs. She calls them “Singing Letters”. They are music messages that speak directly to the heart. The latest song added to Paulette’s catalog and one of her greatest release is “God is Looking For Somebody”. It’s a contemporary gospel song that’s so powerful it’s certain to grab your attention. The song speaks on the behalf of God who is calling for somebody to receive their assignment without compromising His will. Depending what you are going through in your life today, the anointing of this beautiful song might bring tears to your eyes. It might also put a smile on your face because of God’s confirmation and presence. No matter what you’re dealing with the outcry in Paulette’s voice will intensify your emotions. She sounds very compelling and her amazing vocals help give the inspiration for listeners to say, “yes Lord”.